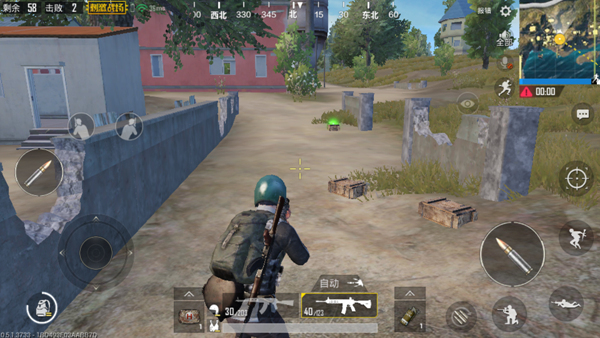 It is not uncommon for guns to fire between players in the “PUBG Mobile: Stimulus Battlefield.” So how can we suppress opponents in the process of gun shooting ? This has become the hearts of many players doubt. As we all know, the pressure gun technique can raise the hit rate of high bullets during firing. In the eyes of the players, the skills of the guns are cool and wonderful. Here’s a mobile shoot that brings you one of the practical skills. As the name implies, the player shakes left and right while shooting. Easier to kill the enemy. Such an approach is not easy for the enemy’s bullets to hit themselves. If the enemy deliberately aims at it, they will follow your rhythm and fall into the air. However, moving target play is not fixed. This technique also needs to be slightly adjusted according to the environment and firearms used. The environment in which players and enemies can fight can be roughly divided into two categories: the wild and the house. 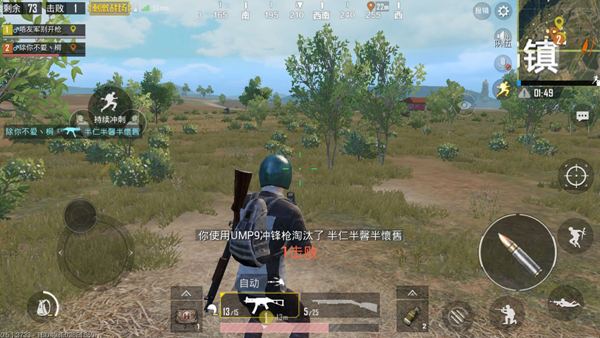 If the player shoots a gun battle with the enemy in the field and there is no cover in the body, then we can use some big action to confuse the opponent. 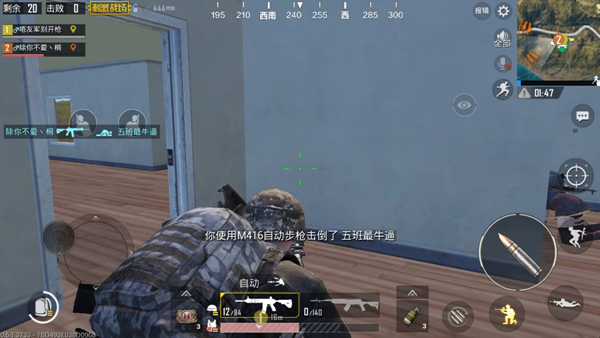 For example, shaking the enemy right and left, suddenly squatting or crouching, and so on, let the enemy’s front sight fall, and then take this opportunity to raise the gun and kill the enemy. The opposite is true inside and outside the house. If the environment is small, then if you do a large-scale action, you may bump into a certain place, and you are restricted from taking a moment to get stuck, and it is easy for your opponent to seize the opportunity. So when you are playing with the enemy in the house, you have to take a bit, but it is different from the outdoors. The most feasible way is as follows. With the help of the cover, the sight is quickly shot and a shot is fired. Usually the fire is fired until the 15-20 rounds of bullets are withdrawn. At this time, the reacted enemies will generally play a lot of bullets, so that they can take advantage of the gun. First of all, the player needs to be clear: The sniper rifle is not suitable for moving target play. The reason is not obvious. Yu Yu, as for other automatic firearms can use this spell gun skill. In the long-range distance, we can consider switching to single-point mode for mobile shooting. Such an attack pattern can constantly exert pressure on the enemy, and it can also ensure that the shooting bullets are adequate, and that the shuttle will not be used to empty the bullet clips because of the rapid fire. The same is true for shotguns and pistol opponents, and the advantage of mobile shooting is even more obvious. This is reflected in both the initial stage of landing and the entertainment mode. After players master the theoretical knowledge of moving target play, You can enter the game, engage the enemy, and experience the practicality of this scraping skill. While using this method of gunning, players can also deepen their understanding of guns and use them as a transition to grasping guns. 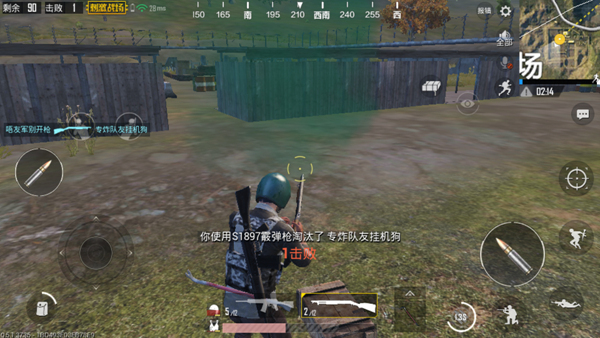 I hope that players can use this skill in the game to learn more, so that they can show off their skills at the time of steel guns.